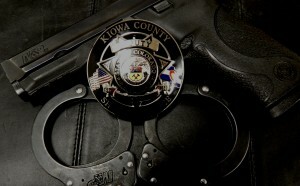 911 calls made in Kiowa County go to the Bent County Communication Center. The dispatcher may answer “Bent County Sheriff’s Office,” don’t worry you are speaking with the right dispatch to have a deputy or other emergency services dispatched to your location. After HOURS office calls go to our automated attendant system, from there you can access our office staffs voicemails or speak to a dispatcher, just listen to the menu options. If you have a rotary telephone please call dispatch directly with the number below. To speak to a deputy for non-emergency calls contact our office or dispatch. Do not call 911 if it is not an emergency!